If you have a special musician in your life, you know that they have a great sense of humor! 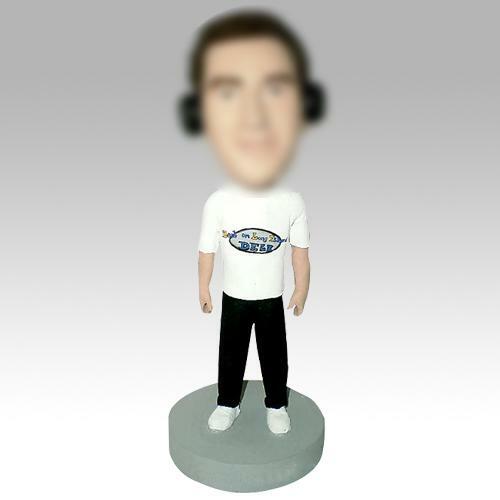 A custom bobblehead - complete with instruments - could be a great way to congratulate them on a gig, amuse them on their birthday, or give them a way to decorate their car as they drive across the country to make it in show business! Any instrument can be placed in their hands or next to them, and they can be customized with other accessories like sunglasses or a conductor stick.